Hi! BEHAVIOR. 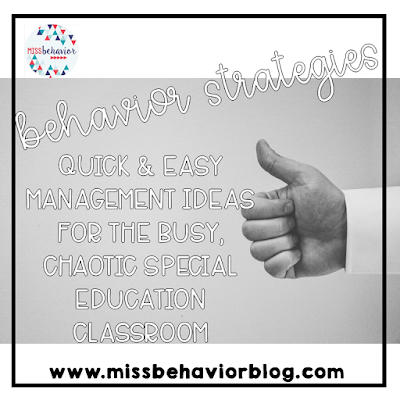 Coming off of a very rough week, I am relying on these strategies more than ever! 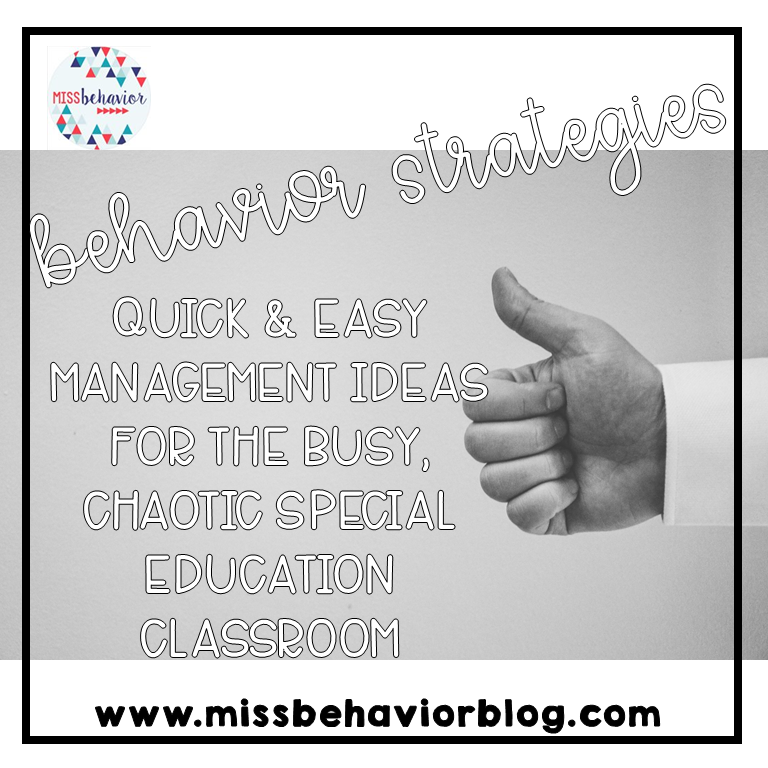 Sometimes behavior plans can be super complex, and it can be so tedious to implement them with fidelity! 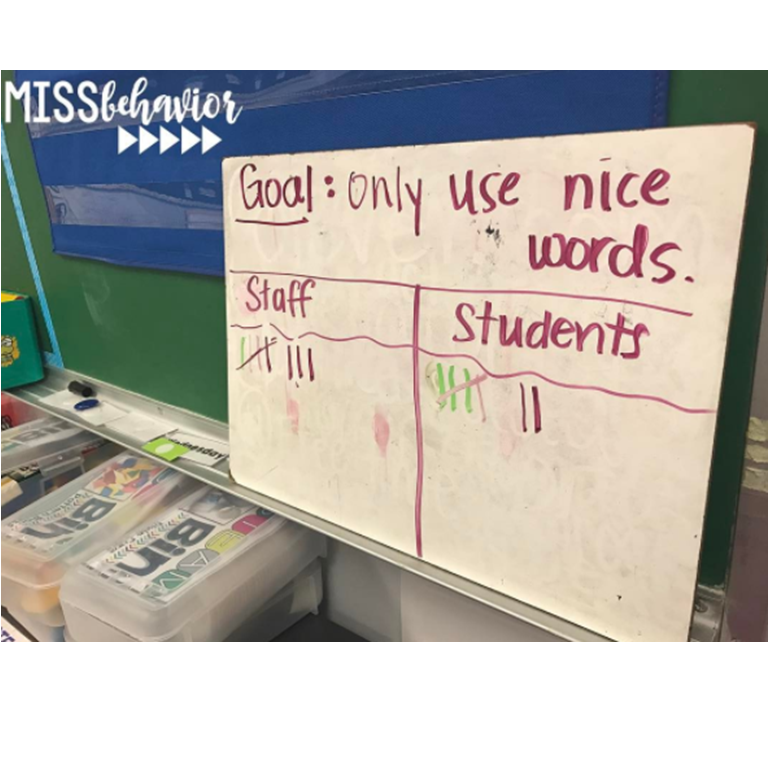 Here are a few ideas that are pretty quick and simple, and can still deliver positive results with your students! Okay... so what's "attachment"? Well, it's how you attach to, or connect with relationally, other people. It all begins with your caregivers, who are generally from the start, your parents. Research says that your attachment style is solidified by the time you are 2-3 years old, and that this style stays with you for the remainder of your life. Can it change? Absolutely - but it's not easy. 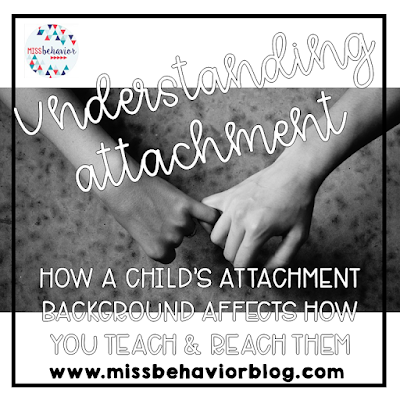 Changing an unhealthy attachment style can take years of very hard work. 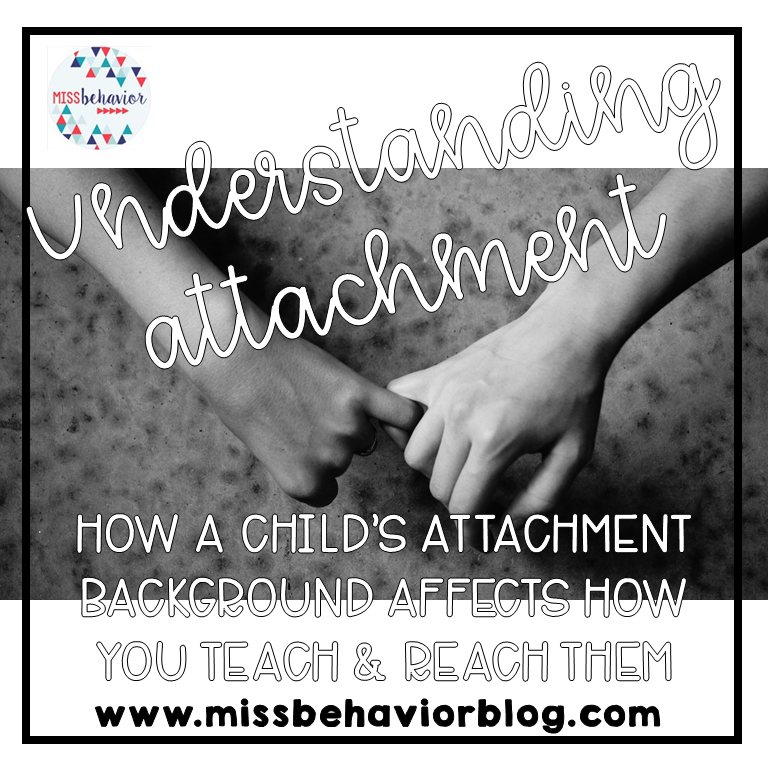 What's healthy attachment? What it comes down to, is that a person you love (let's say, your mother) can disappoint you or hurt you, but you can still love them dearly despite your negative feelings towards them. The healthy attachment is there. It means seeking out the individual you have healthy attachment towards when you need something (ex: searching for your dad at the park after you fall down and hurt yourself rather than running to a stranger for comfort).